When a customer line suffers from throughput problems, we sometimes need speed tests to be ran to diagnose/prove the problem. This is usually required when the sync speed is good, but for some other reason the throughput is poor. In most cases we can see speed problems on our own monitoring - for example loss and latency on the CQM Graphs. We can cross-reference other lines on the same exchange or BRAS to see if the problem is affecting other customers. We can view historical graphs and look for patterns. We can view sync speeds, both now and historically. We may also ask the customer to change equipment (routers, cables, computer etc.). However, in some cases, the line may look near-perfect, but the actual throughput is far slower than the actual sync speed. 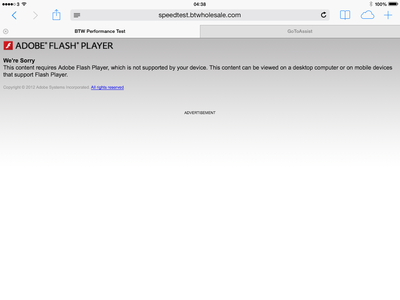 AAISP's own tester does not use flash, and should work on all browsers. To provide evidence to back up the fault report with our Wholesaler we like the customer to run speedtests from multiple test sites and different times of day, as well as the wholesale provider's own tester. 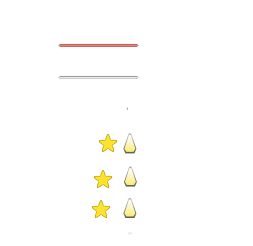 Unfortunately many of these sites need flash. Not every device is able to run the Adobe Flash plugin, but also because of the closed nature of the plugin some users understandably object to running it. Due to this, sometimes running a speed test is tricky! 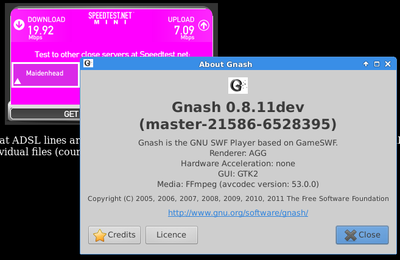 For devices that are not running the Adobe Flash plugin there are a couple of alternatives, Gnash and Lightspark. We have tested these, and the results are not promising. More below. In the situation that our Wholesale provider requests that our customer run their speed test, and the customer is not able to, we will explain to the wholesaler that their speed test does not work. We will explain that the requirement for Adobe Flash Player is not in their terms of service, and we'll ask them to provide an alternative. We will also ask our customer to run our speed test which does not require Flash and will submit those results. This was using Ubuntu 13.04, and installing the players from apt. This test does not use flash, it is all server based timing of downloading an image file to the browser speed results are ok.
Lightspark didn't load the speedtest.net tester at all. We tried Gnash on Ubuntu using Firefox and Chrome. 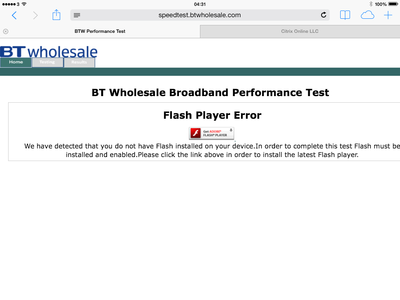 Our Handbook from BT Wholesale does state that customers who believe that their line is not meeting the minimum throughput guarantees are asked to run the BT Wholesale speedtest tool. We have raised the fact that not everyone has Flash. What about households with just iPads? We'll update this page with the progress made. Q10. Adobe Flash player is not supported on my device. Can I still run the Performance Tester? We'll be happy to receive more details from customers regarding their experiences of running speed tests without the Adobe Flash Player, please get in touch with Support. This page was last modified on 15 March 2017, at 01:02.